On my most recent trip to Havana I spent my time photographing classic cars on the streets. In 1959, the last cars from the United States were imported into Cuba. Politics…. The streets are filed with vintage cars. 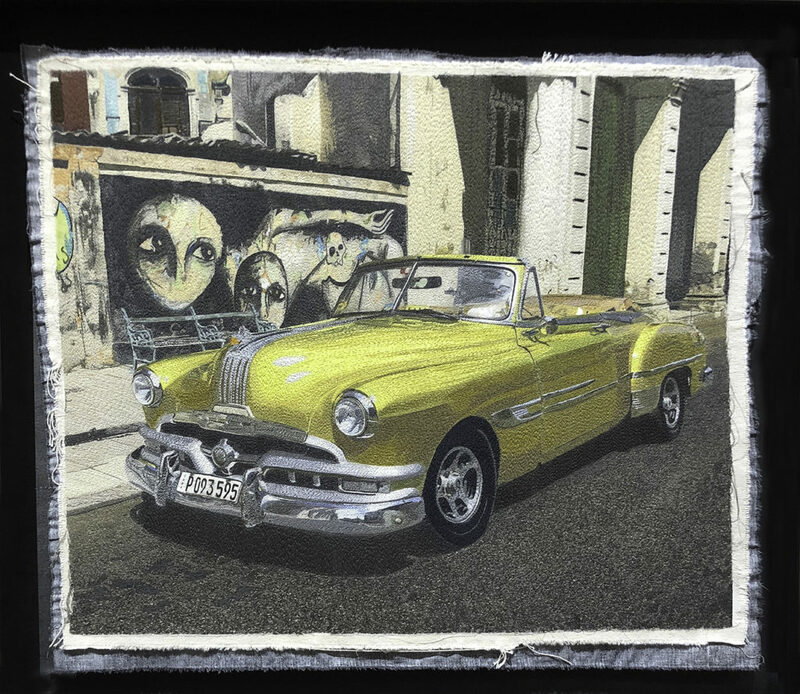 This car was photographed alongside street art by Yulier Rodriguez Perez. In 2014 he took his social messaging to the streets and became a pioneer of urban street art in Havana developing a unique visual language that spoke directly to the Cuban people and which spread across the city like wildfire. “My pictures are like fables, a portrait of people’s experiences…They are like souls, because at some point we stop being people and now we are souls in a purgatory called Cuba.” His creations are meant to portray the struggles of Cuban life. “There is a lot of discontent already because of many shortages. It is discontent, sadness, depression, sometimes frustration of not being able to be,” he said. The faces represent the ghosts of people who lived there when these were the most elegant buildings in Havana as well as the desperate lives of the poor who inhabit them today.